The 16th PROBA2 Science Working Team (SWT) meeting was held on Monday August 6, 2018 at Royal Observatory of Belgium, between 15:30 - 17:30 local time (i.e. CET+1). The meeting was organised through videoconference, allowing scientists from all over the globe to attend. The initial announcements and meeting agenda can be found here. The team was presented. PROBA2 vital statistics were given as well as P2SC software upgrades. The GI Status - 7 rounds are completed, the 8th is on the way. Science mission until the end of 2018, then transitioning to operational satellite. SWAP's performance is nominal. A data gap between 2018/05/05 23:57 UT and 2018/05/07 05:50 UT due to the OBET roll-over on May 6, 2018. The total volume of SWAP data products is around 9T. A final reprocessing of all P2SC data since the start of the mission is performed. Four SWAP-related publications this year (until the meeting) and three more are in preparation. 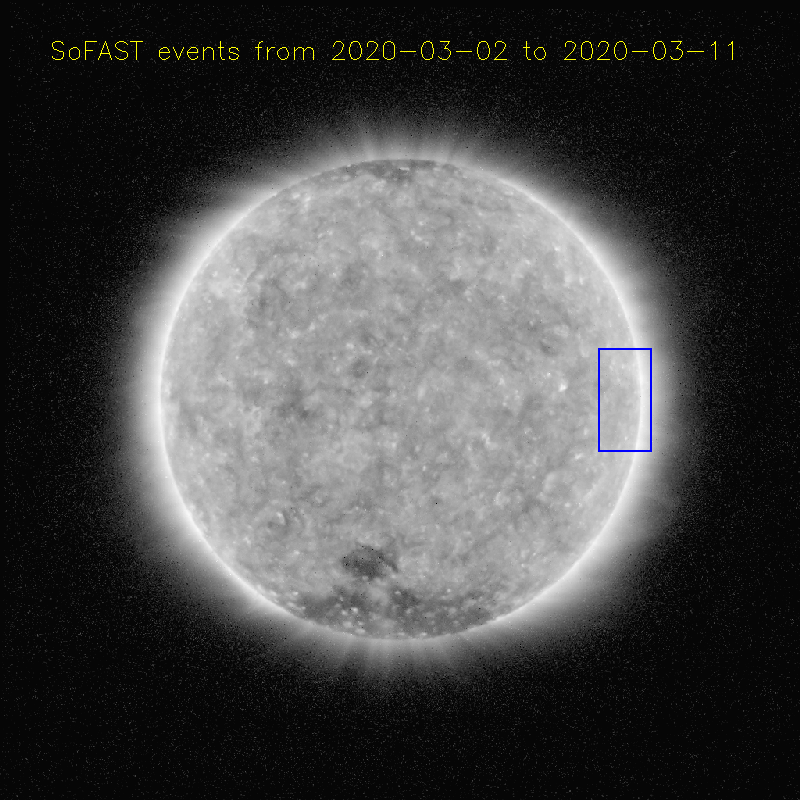 Observation campaigns related to 3 partial solar eclipses on February 15, July 13 and August 11, 2018. LYRA is performing nominally. The degradation shows slow evolution, now also affecting the two EUV channels of unit 1. To correct for the degradation a slight linear degradation of channel 1-4 was introduced. The dark current is also corrected to take the time evolution into account.Three LYRA-related publications this year (until the meeting), one to be submitted soon and one more in preparation. Observation campaigns related to 3 partial solar eclipses on February 15, July 13 and August 11, 2018. 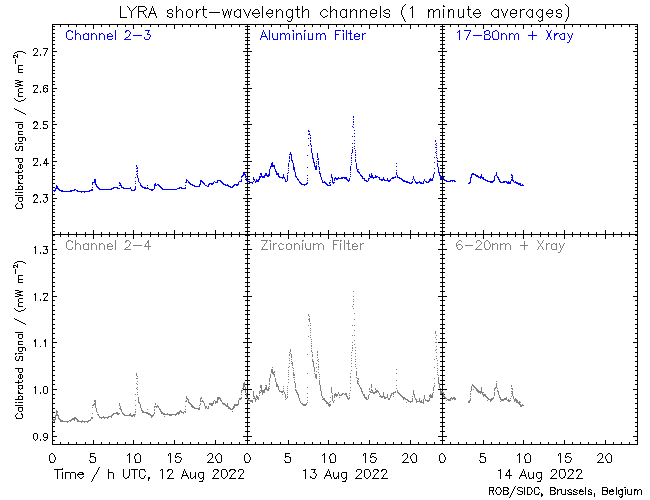 Presented a cavity observed in June 2010 by PROBA2/SWAP instrument. 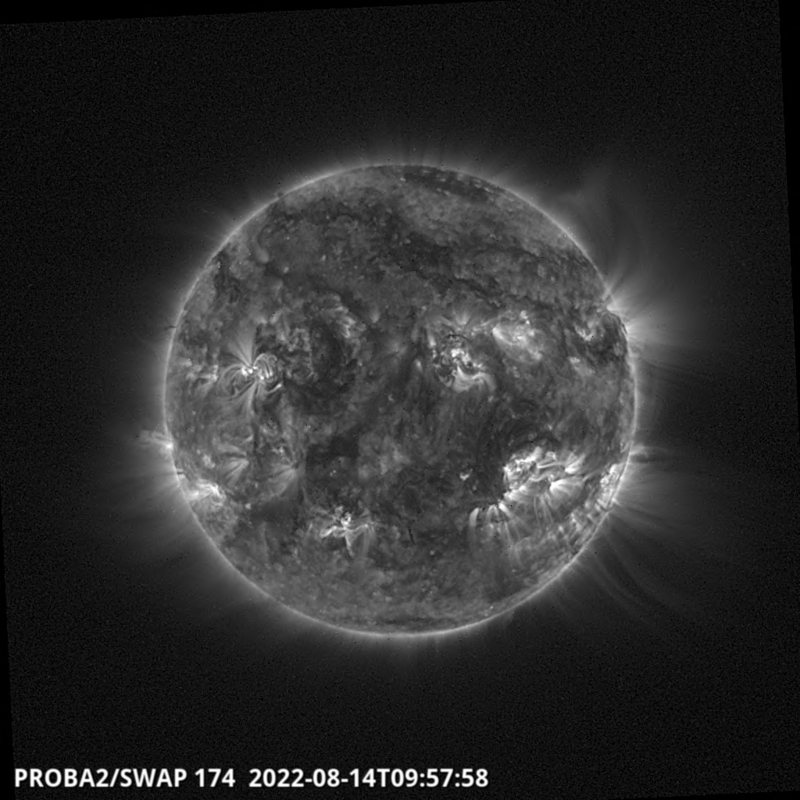 The prominence observed by AIA 304 channel lies at the bottom of the cavity observed by SWAP. 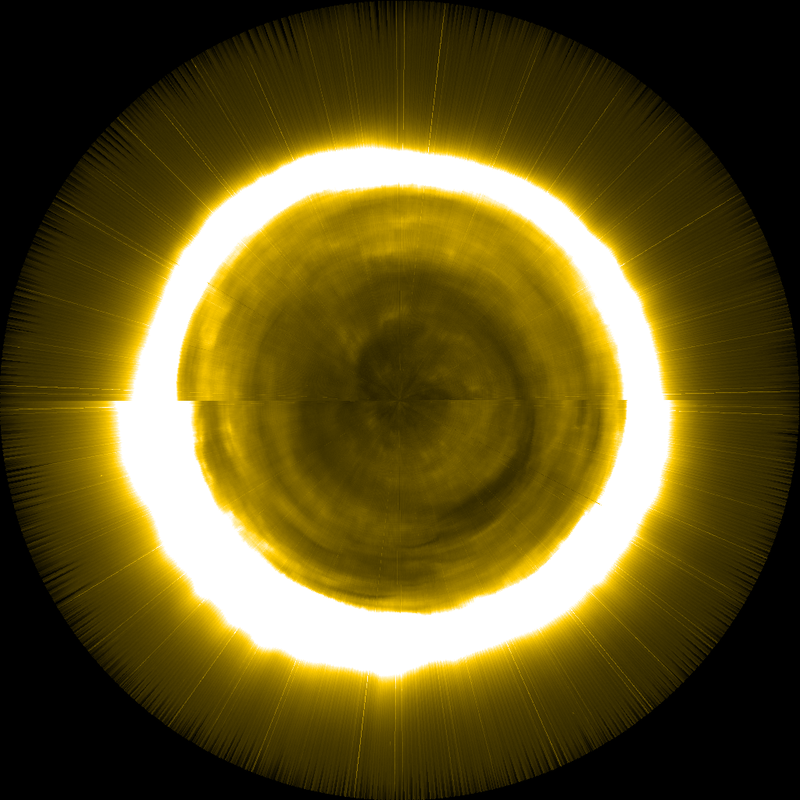 The cavity morphology evolved from an ellipse shape in the low corona to a circular shape higher in the corona (LASCO-C3 FOV). Up to 1.3 solar radii the cavity moves non-radially, while higher up it keeps the same position angle. The cavity centroid undergoes initial acceleration after crossing the critical decay index value. Presented the study of the EUV waves observed by SWAP on April 3, 2017 and September 12, 2017. By using numerical codes a fast MHD wave was propagated and compared with observations (EUV(SWAP, SDO/AIA), White Light, Radio (Humain). Presented a comparison of 2015 eclipse simulation and SWAP data. Features as bright active regions, filaments, evolving large scale features were compared with simulated data with the purpose of improving the photospheric evolution model. Presented studies of intensity fluctuations in plume and interplume regions of a polar coronal hole observed by SWAP on April 6-7 2017. 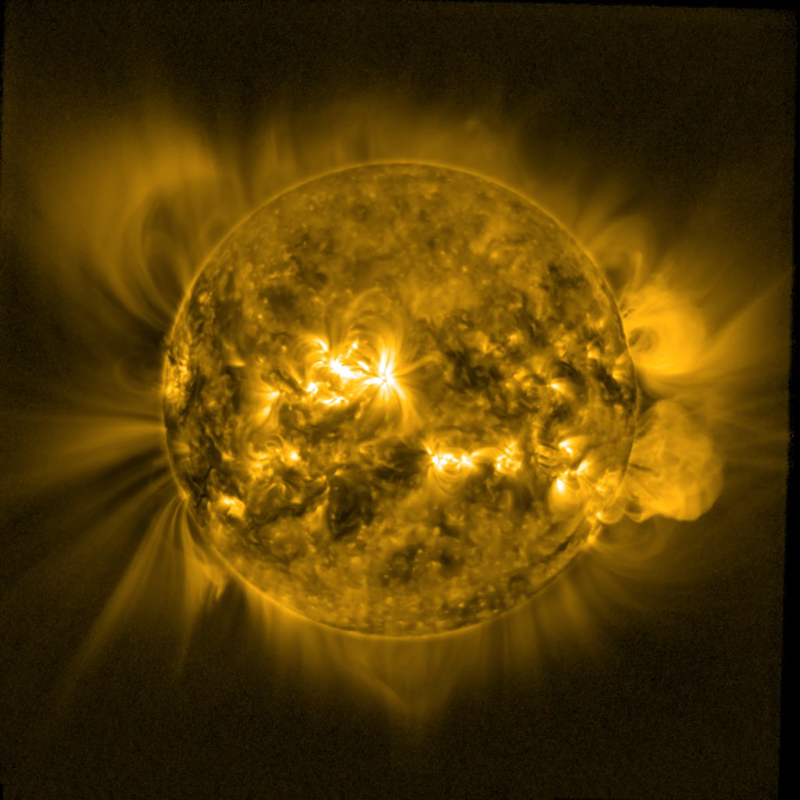 The density fluctuations grow in the corona reaching amplitudes larger than 10% by 1.35 solar radii. Theory predicts such fluctuations to promote Alfvèn wave reflection and turbulent heating. Paper reference: Hahn et al., ApJ, 860, 34 (2018). Presented studies on measurements of N2+O number density at both dawn and dusk terminators, using data from LYRA solar occultations. Methods have been developed to derive thermospheric temperature.